When it comes to delicious local eateries, independent retailers, and eclectic shops, far and few areas in the city can compete with Main. With coffee houses like Forty Ninth Parallel (and their oh-so-tasty Lucky’s Doughnuts), artist-owned Red Cat Records and micro-breweries springing to life, it’s no surprise why locals have voted Main Street as Vancouver’s “favourite shopping destination” and “coolest street”. 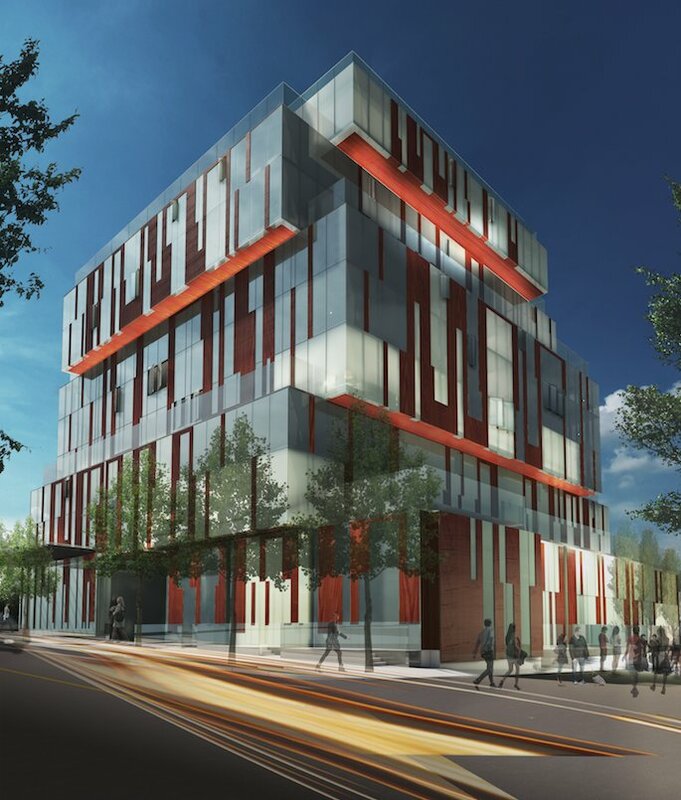 Main Street is just about to get a little cooler thanks to FOCAL by Reside Developments Ltd, an architecturally striking 9 storey development composed of stylish and thoughtfully-designed studio, 1, 2 and 3 bedroom homes located on Main and 7th. For those who follow the Vancouver real estate market closely, you may have already been introduced to this development but under a different, unofficial name – the “Vertical Forest Building”. The exterior of this LEED Gold building consists of an innovative, eco-friendly wood veneer and glass curtain panel mimicking the look of light filtering through a forest. Each solid and opaque section has been strategically positioned by Arno Matis Architecture to maximize light and the sweeping views of downtown and the North Shore Mountains. FOCAL is coming soon to South Main. Register at www.FocalOnMain.com for the latest news and updates. Don’t forget to follow FOCAL on Twitter at @FocalOnMain and on Facebook at fb.com/FocalOnMain.